DCU student Ross Taheny has been nominated for Colleges and Universities International Third Level Football Player of the Year. The Ballinamallard United defender says that being nominated for such a highly regarded award is right up there with the finest moments of his career. “I’m absolutely delighted, playing for your country is always going to be the highest honour for me, personally, so for me to be nominated for player of the year at an international level tops off a fantastic few years of college football,” Taheny told The College View. 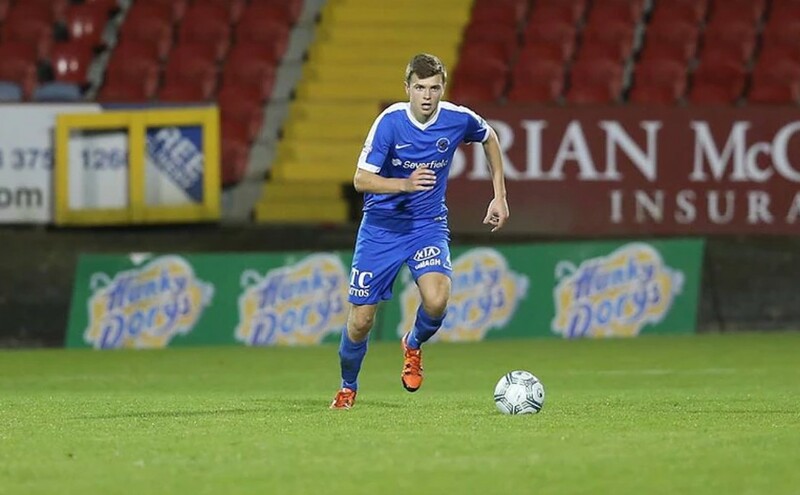 The young man, who is currently studying for his Bachelor of Education degree in DCU, is also playing for his club team at the top level of Northern Irish football and representing his college at the top level also. The Mallards, Fermanagh’s only professional team, currently sit bottom of the NIFL Premiership, but Taheny’s spirit for the game is unbreakable, and he illustrated that he enjoys football most of all. “Placement involves long, tiring days and looking at the laptop for hours each evening,” he said. “So the football is a great way for me to get a break and enjoy myself”. Obviously not opposed to being kept busy, he also lends a hand to the DCU ‘C’ team, who are based on the St. Patrick’s Campus in Drumcondra (where Taheny conducts the majority of his studies). This attitude differs to that of many student athletes, who seriously struggle to balance their studies and their sport, but he made it clear he appreciates every opportunity he gets to be involved in football. His love of the game is as clear in these words as it is on the football pitch itself. He isn’t the only Taheny family member who has had recent sporting success, as his younger sister Erin was recently capped for the FAI Schools Interprovincial team, but this came as no surprise to Ross himself, who reckons his little sister is destined for greatness. Taheny is up for the award alongside UCD’s Dáire O’Connor and UCC’s Sean McLoughlin.